On the 25th of November 2017, Contemporary Cluster will start a new season at its new location of Palazzo Cavallerini Lazzaroni, in Via dei Barbieri 7. Contemporary Cluster #05 will exhibit the artworks by Tadao Cern together with the accessories and jewelries designed by Okiiko and the fragrances of Blood Concept, for a unique perceptive experience. On this occasion, the presentation of the magazine Flewid, created by Emi Marchionni and distributed by Pineapple Media Limited, will take place. Sebastien Bromberger will enrich/entertain with an accurate musical selection during the event. For the opening of its new space in Via dei Barbieri, Contemporary Cluster presents, for the first time in Italy, Tadao Cern’s solo show. Cern (Vilnius 1983) is a young artist who has exposed worldwide, with solo exhibitions and group shows in both Europe and the US: among others, Revealing the Truth at Saatchi Gallery in London, Comfort Zone at SF Camerawork Gallery of San Francisco, Hanging Paintings at Portal in New York, as well as solo shows at Ingo Seufert Gallery in Munich and at nhow Gallery in Berlin, are worthy of mention. For its first Italian solo show Tadao Cern will display a group of new works exclusively realized for Contemporary Cluster from the series Hanging Paintings (2017) and Chromatic Aberration (since 2016). The Hanging Paintings (2017) are a series of objects-structures-sculptures made of metal and dyed wool, originating from the suggestions/stimuli of childhood memories. These kinds of structures articulate the space with their regular and geometrical construction and with their hung drapes, which emulate both paintings and garments. 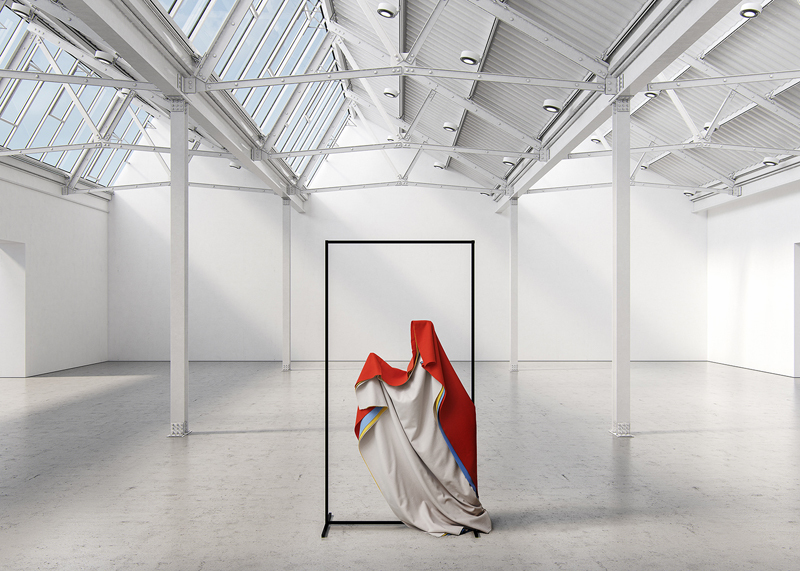 At the same time, minimalism and reduction also characterize the artworks from the series Chromatic Aberration (since 2016), oils on canvas that develop a reflection on perceptions and optics: on one hand, architecture, on the other photography inspired these works, which are situated between these two disciplines and expressive modes. 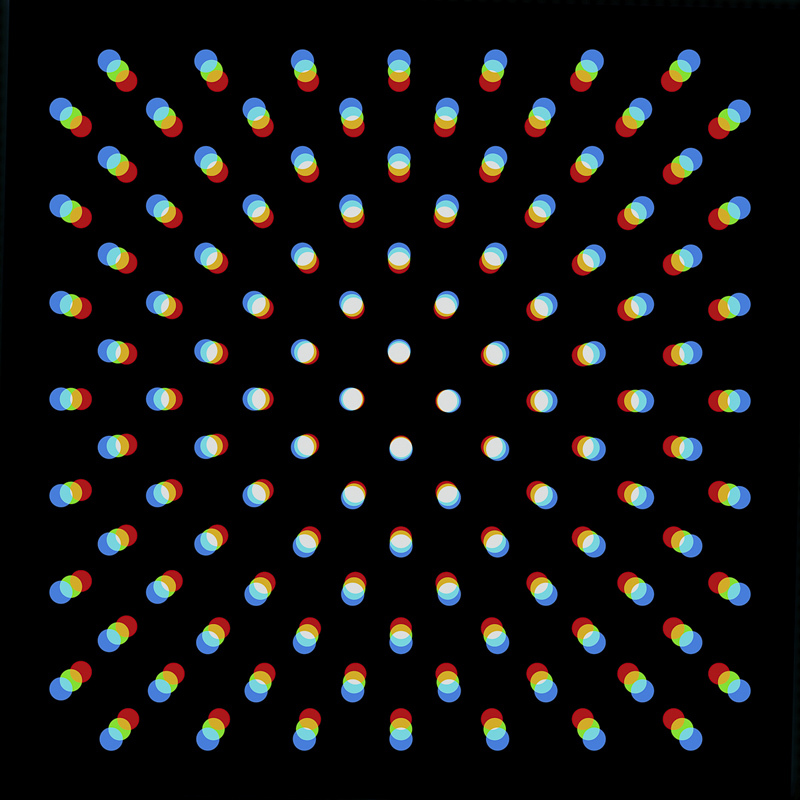 The image is suspended between illusion and geometric construction. 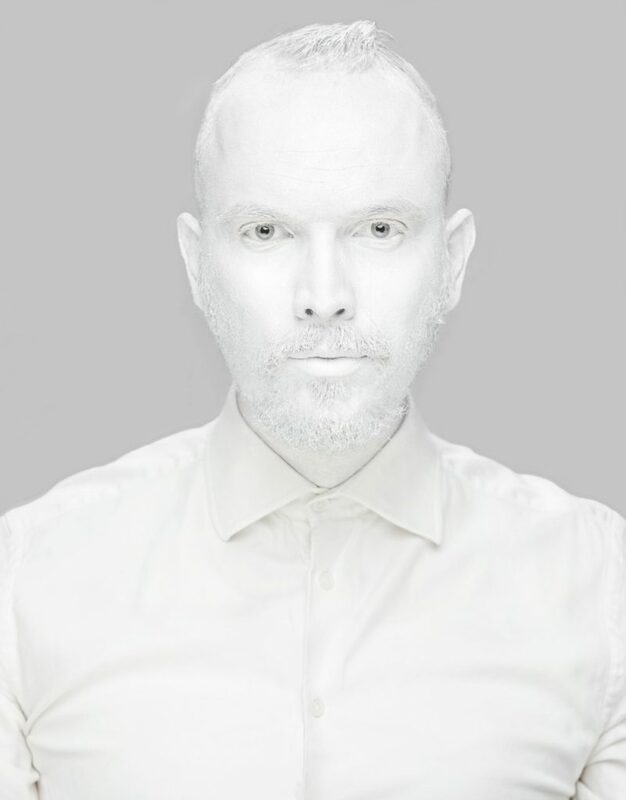 Abstraction and perceptual illusion are the primary elements of the procedural investigation of Tadao Cern. The artist, who graduated in architecture at the University of Vilnius and is interested in photography, painting and sculpture, pays attention to a creative process that wants to retrain ordinary aspects through an attempt of reduction and abstraction. In this way, the artistic gesture brings to life the suggestions of the memory and an ongoing experimentation. The show will promote, together with the artworks realized by Tadao Cern, a series of accessories, jewelleries and fragrances realized by Okiiko and Blood Concept, and inspired by Cern’s exposed works. With the interaction of different creative minds, a space in which the dialogue between artwork, jewellery and perfumery will rise and express the discursive potential of contemporaneity within its different aspects. Okiiko, brand born from the ideas of the graphic designer Laura Tulaite and the architect Eivaras Rastauskas, will present an exclusive series of jewels inspired by the minimal and essential constructions by Tadao Cern; Giovanni Castelli’s and Antonio Zuddas’s Blood Concept, at the same time, will steer scent design through a redefinition of perfumery with an identity statement that travels around olfactory perceptions and sensual memories. Contemporary Cluster #05 feat. Tadao Cern, Okiiko & Blood Concept wants to investigate the interactions among different sectors through a sensory journey among the senses, with the possibility to trace a crossmedial continuity between visual art, jewellery design and olfactory design.